Case of 240 APET plastic hinged cake packs. 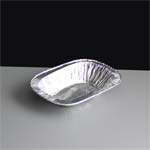 Suitable for smaller victoria sponge cakes, other cakes and bakery items, convenience foods. 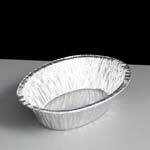 As it is made from PET, it is widely recyclable and clear for retail presentation of your bakery items. The cake pack is hinged and is fastened at the front with two closure which are simple to open and close if the cake isn't consumed in one go. The back of the hinge is slightly higher than the front of the pack. The dome effect provides a high quality effect and the base has an embossed design including the food safe logo, Recyclable, APET 1 logo and the product code 02586.